Jhunjhunu-Churu Road, Vidyanagari, Dist Jhunjhunu, Churela, Rajasthan - 333001, India. 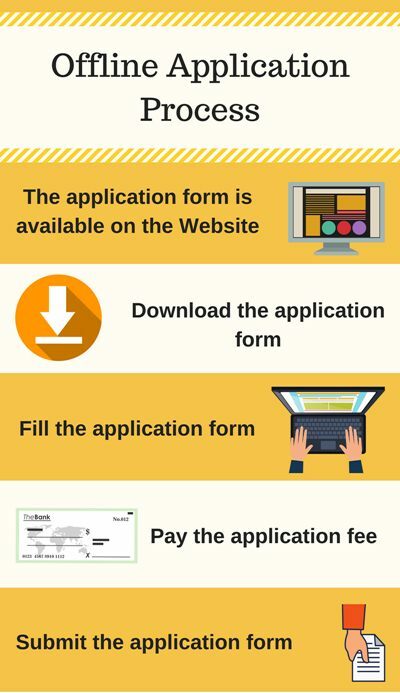 The candidate can fill the application fee. The candidate can pay the application fee through DD in the favor of JJT University, payable at jhunjhunu. The candidate can submit the application form to the official address. The admission process is Merit based on Previous Qualifying Examination & UJET Entrance Examination. The candidate can carry the following documents at the time of Entrance Examination. The admission process is based on JEE/ UJET Entrance Examination. The admission process is based on GATE 2019 & UJET Entrance Examination. In order to get admission in JJTU, Jhunjhunu, the candidate should have passed 10+2 examination in Physics, Chemistry & Mathematics as compulsory subjects. In order to get admission in JJTU, Jhunjhunu, the candidate should have passed 10+2 examination in PCM/ ITI. In order to get admission in JJTU, Jhunjhunu, the candidate should have passed 10+2 examination in PCM & Diploma in Engineering. The candidate should have passed 10+2 examination in Commerce stream to apply for JJTU, Jhunjhunu admissions 2019. The candidate should have passed 10+2 examination with Biology & Mathematics as a compulsory subject to apply for JJTU, Jhunjhunu admissions 2019. In order to get admission in JJTU, Jhunjhunu, the candidate should have passed 10+2 examination with Physics, Chemistry & Biology as compulsory subjects. The candidate should have passed 10+2 examination in PCM to apply for JJTU, Jhunjhunu admissions 2019. The candidate should have passed 10+2 examination in PCB to apply for JJTU, Jhunjhunu admissions 2019. The candidate should have passed 10+2 examination in Medical & Non-Medical subjects to apply for JJTU, Jhunjhunu admissions 2019. The candidate should have passed 10+2 examination in any stream subjects to apply for JJTU, Jhunjhunu admissions 2019. In order to get admission in JJTU, Jhunjhunu, the candidate should have passed 10+2 examination or ITI. In order to get admission in JJTU, Jhunjhunu, the candidate should have passed LLB from a recognized University. In order to get admission in JJTU, Jhunjhunu, the candidate should have passed Graduation & M.Sc in IT. The candidate should have passed B.P.Ed/ B.Sc in Physical Education to apply for JJTU, Jhunjhunu admissions 2019. In order to get admission in JJTU, Jhunjhunu, the candidate should have passed B.Pharm from a recognized University. The candidate should have passed BPT to apply for JJTU, Jhunjhunu admissions 2019. The candidate should have passed B.Sc from a recognized University to apply for JJTU, Jhunjhunu admissions 2019. The candidate should have passed B.Sc in Medical from a recognized University to apply for JJTU, Jhunjhunu admissions 2019. The candidate should have passed BE/ B.Tech in Computer Science and Information Technology or M.Sc (Computer Science)/ MCA to apply for JJTU, Jhunjhunu admissions 2019. 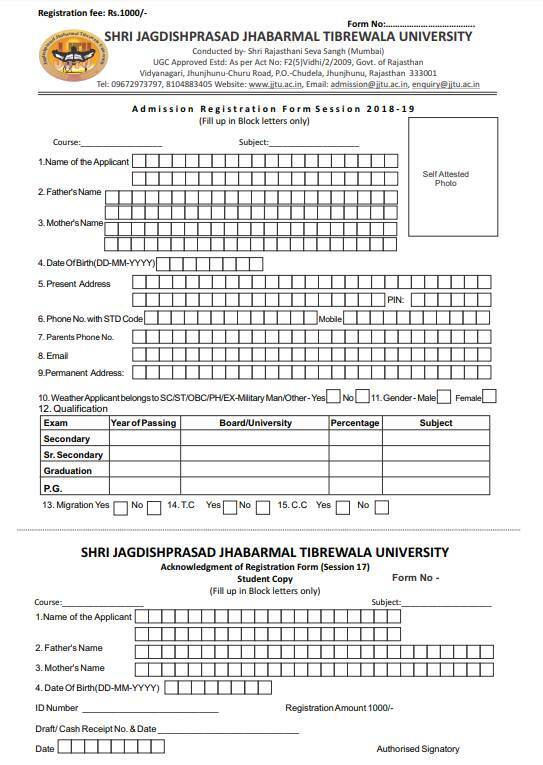 The candidate should have passed BE/ B.Tech to apply for JJTU, Jhunjhunu admissions 2019. The candidate should have passed BE/ B.Tech in Electronics Engineering or M.Sc in Electronic Science to apply for JJTU, Jhunjhunu admissions 2019. The candidate should have passed BE/ B.Tech in Mechanical Engineering to apply for JJTU, Jhunjhunu admissions 2019. The candidate should have passed BE/ B.Tech in Civil engineering to apply for JJTU, Jhunjhunu admissions 2019. The candidate should have passed BE/ B.Tech in any stream or M.Sc in Physics to apply for JJTU, Jhunjhunu admissions 2019. In order to get admission in JJTU, Jhunjhunu, the candidate should have passed 10+2 examination. In order to get admission in JJTU, Jhunjhunu, the candidate should have passed Graduation from a recognized University. In order to get admission in JJTU, Jhunjhunu, the candidate should have passed Bachelor's Degree from a recognized University.